The Ape-Piaggio “Johnny Pizza Portafoglio” was created to pay homage to the typical Neapolitan tradition. This vehicle has been designed taking into account the various aspects: the distribution of space, the quality of materials and visual communication. Contributors to this project are the pizza makers, which in the building phase have revealed critical issues to be fixed and suggested the optimal instruments placement. 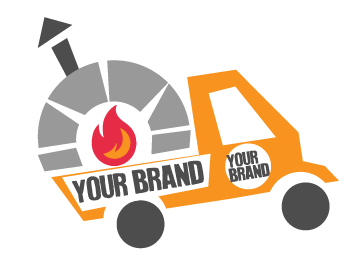 There is so much work behind this little vehicle, so that we can consider it a real car for street food, an innovative concept, an evolution in the food business sector. … And it is the passion for the pizza, which has as its objective the creation of a new business format that combines TRADITION and innovation for excellence in Street Food. 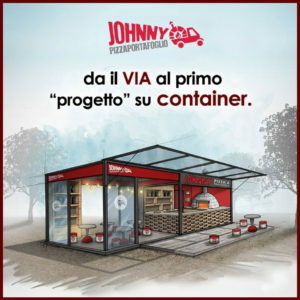 WITH THE HELP OF INTERIOR DESIGNER … our PIZZERIA ON CONTAINER !!! A real super pizzeria set! It is possible to rent your customized Ape Pizza for parties, private or public events. Thanks to its small size, the Ape-Pizza can be used also in the Historical Centers and in the smallest streets. START THE ENGINE OF YOUR “APE PIAGGIO”!